One interesting aspect of small town life is that the idea of neighbors helping neighbors extends to our emergency services. In cases where medical support is necessary, be it due to a fall, car crash, or outdoor accident, the ambulance and fire apparatus will be staffed with both paid and volunteer staff. Our emergency services are provided by the Vernonia Rural Fire Protection District (VRFPD) and the Vernonia Volunteer Ambulance Association (VVAA). Both are located at 555 E Bridge St. Though ambulance and fire are separate departments, they work together as a team. At the fire station, the Medic’s private living quarters are located on the second floor with a living room, charting computer, 2 bedrooms, showers, Wi-Fi and TVs with satellite service. There is also a small kitchen located in the ambulance bay. The VVAA is unique in that it is sponsored by Metro West Ambulance (MWA), allowing for advanced medical care and state of the art equipment about 40 miles away from the nearest Hospital. 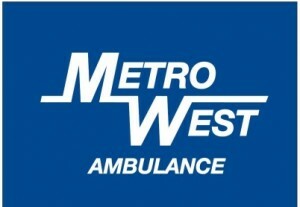 MWA supplies Vernonia with a fully stocked ALS ambulance, a paid Paramedic (24/7) and a paid EMT Basic (M-F, 6am-4pm). The remaining hours, 4pm-6am and all weekends, are covered by our dedicated volunteers. Ambulances are stocked similar to those in Washington County with the addition of an Easy IO drill. Vernonia operates under Washington County protocol and MRH. They run a type 2, 4X4 ambulance as terrain and weather can be extreme. A second ambulance is occasionally available and can be managed by 2 EMTs whenever needed. Emergency Services played a vital role in protecting and sustaining our small town during 2 catastrophic floods and multiple extreme snow storms. To become a member of the VVAA, prospects are made employees of MWA, if they aren’t already. They must meet all requirements; background check, driving record, drug testing, continued education (CE), certification and other code of conduct required by MWA. They must also attend 2 business meetings or 2 drills and be voted on by the other members after all requirements are met. Meetings are 1st Tuesday of the month; drills are the 3rd Tuesday of the month, but prospects should call in advance as drills have been known to change. Volunteers can be Paramedics, EMTs, drivers or fund raising/support staff. The VVAA has a Chair, Co-Chair, secretary, treasurer and Sergeant of Arms. All positions are elected by the members. EMT certified members must dedicate 24 hours per month to shifts in a schedule book. These hours are made to be as flexible and as convenient as possible. Shifts are available in 6 hour blocks on up to a 24 hour weekend shift to get your commitment done at once. Current out of town members use volunteer hours for study and reading as call volume varies from an average 7-10 calls per week. Though volunteers are unpaid for shifts, a transport will earn you $25. There are often paid opportunities working out of town, such as the Races in St. Helens during the summer or concerts and events at the Moda Center in Portland year round. Pagers, uniforms, EMS polo and 1/4 zip sweat shirts are provided. Other benefits to members include CE classes (3rd Tuesday of the month), paid re-certification, EMT basic course paid with completion, award banquet, specialized logo T shirts, personal tactical items and of course BBQ’s! Members, who show excellence by taking extra shifts, helping with fund raising events and covering 2nd out emergencies, receive gift cards, challenge coins and possible EMS Conference and lodging, all paid for! There is an Oregon State Rural EMT tax credit of $250/year available for volunteers who meet requirements. 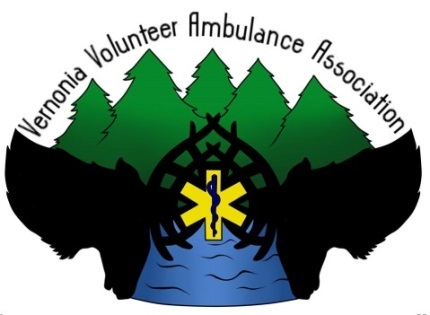 If you have a desire to serve the community and would like to learn how to help someone in a medical emergency, the Vernonia Volunteer Ambulance Association, in partnership with Metro West Ambulance, offers an opportunity to save a life and change yours. Feel free to attend one of our business meetings to ask questions and meet our volunteers.